What Is The Best Drag & Drop WordPress Page Builder in 2019? I was in a coffee shop in Thailand, enjoying a well-crafted latte when a random Swedish guy asked me what I was doing. At the time, I was putting a sales page together with my shiny new Thrive Architect plugin. Naturally, I gave him a quick tour of the software. Turns out, he was a developer. And, according to him, the whole concept of a WordPress page builder was… stupid! Truth is, I’m no techie. And I’m certainly no developer. So while I understand the benefits of coding everything yourself, I can’t help but like the idea of a WordPress page builder. But that conversation stuck with me for a while. In all honesty, I questioned myself a while. I dabbled with the idea of learning code and ditching visual editors altogether. I was addicted the simplicity of drag ‘n drop. The independent, unrestricted control over every single element on the page. And, most importantly, seeing my changes happen in real-time. Exactly as they appear on the front end. Page builders have EXPLODED in the past couple of years. I mean, you can barely mention “WordPress” without getting into a debate over which WordPress page builder is best. The question is, what is the best page builder on the market today. Everyone has an opinion, but few have the facts to back it up. Today, it’s time finally settle the debate. Once and for all. But First… What Exactly Is A WordPress Page Builder? Page builders are design tools. Using a visual environment, they allow you to bring your ideas to life without having to learn complex code or deal with the inherent restrictions of using the CMS default editor. Most WordPress page builders come in the form of a plugin, and pages created within the builder either lay on top of the standard WordPress page, or slot within the content boundaries of your theme. These days, there’s no shortage of page builders on the market. Many of them are constantly evolving and each behave differently, so there’s no real ‘standard’ or ‘definition’ of what a page builder actually is (or does). At at fundamental level, their purpose is really to offer control over every element on the page. To lift the boundaries and allow for unrestricted creativity without having to face endless technical limitations. Page builders aim to do everything the default WordPress editor can do, and more. As such, they essentially replace it. What’s wrong with the default editor, you ask? Well, if you’re not concerned about the look and feel of your page and you’re happy to just let the theme handle it, there’s nothing wrong with the default editor. That said, if you want any real control over your content, and it’s likely you do, then there’s everything wrong with it. Considering the popularity (and profitability) of WordPress, the default editor is an absolute joke. Here’s the editor we all know and love. Now let’s take a step in my time machine. Here’s what WordPress editor looked like almost a decade ago (2008). Aside from a subtle design difference, it’s pretty much the same thing with a few less bells and whistles — if you can even call them that. Considering that WordPress powers around 26% of the internet, quite frankly, the current editor is a joke. And not a very funny one, either. THIS is why there’s such a huge market for WordPress page builders. And it’s also why replacing the default editor is no-brainer, especially considering that most page builders still allow you to use the standard editor if you choose. You’ve no doubt caught wind of the new Gutenburg editor for WordPress, which may eventually replace the native, outdated editor you currently get. It does look like a step up, but it’s still early days. What Can You Actually Do With A WordPress Page Builder? Any decent editor allows you to drop images, play with the typography and adjust element sizes. That stuff is a given, and nothing you can’t do in the standard WordPress editor. Page builders kick things up a peg. For starters, you get complete control over your page layout, most commonly through the use of columns. From there, you can start getting fancy with things like content boxes, icon boxes and tables. 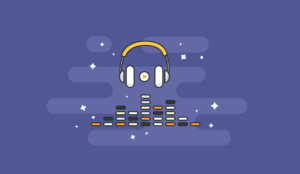 And you can even go as far as dropping in animated elements to really bring your content to life. These are just a handful of examples, and some page builders on the market have dozens of element types you can take advantage of. I’ve made a strong case for page builders so far but the reality is, even they have their faults at times. In fact, whichever way you go with this, you’ll be able to identify a number of pros and cons for each. It helps to know what they are before investing in a page builder, so let’s run through them. Easy drag n' drop elements, because who doesn’t love that? Which One Is The Best WordPress Page Builder? As you probably gathered from my intro, the answer to this question will always be subjective. I say “in most cases” because whichever way you slice it, it still depends on what exactly you’re trying to create. Sometimes a page better makes sense, other time, it’s just overkill. The great thing about page builders is that they work as an external application, and even though they “replace” the default editor, you can still use the default editor if you want. Whenever you create a new page or post, you get to choose between the default editor and your page builder. If you’re looking to write a simple, text-based blog post, you can opt for the default editor because that’s all you need. Then again, if you’re looking to jazz up your content and make more of an impact, just fire up your page builder and go all out on the design. Ultimately, there’s no need to crown a winner here because there’s no need to choose a side. If you just need to apply some basic styling to your content, page builders are probably a little overkill. Instead, I’d recommend learning CSS or buying a tool like CSS Hero. You could also try shortcode plugins, like Shortcodes Ultimate. Now that we’ve put the whole “default editor vs page builders” argument to bed, it’s time to open a whole new can of worms. As you can imagine, this kind of demand has sparked a whole slew of page builders entering the market, ultimately making your decision much, much harder. One of the first things to identify, though, is which type of page builder you’re going to use. Looking to scratch an itch in the WordPress community, along came the first generation of visual page builders, all taking a very ‘block-based’, back end approach. Even to this day, some builders – like Visual Composer – still offer a back end environment, still managing to keep a strong foothold in the market. With the wild success of block-based page builders, it was only a matter of time before someone kicked things up a gear. Enter the second generation of page builders with a much stronger focus on the visual aspect, offering a true WYSIWYG (what you see is what you get) editor. Okay… So Which “Generation” Is Better? I wouldn’t even hesitate to answer this. 2nd generation, front end visual page builders are just flat out superior. Some could argue that back end builders are more ‘simplistic’, but that doesn’t mean they’re easier to use. They’re not. Front end visual editors, on the other hand, are not only super-intuitive but also lightning fast in comparison. This is why page builders like Visual Composer and Divi Builder have moved into front end territory. They knew it was the future. Now that you have a solid understanding of page builders and why you should use them, let’s introduce the specific builders we’ll be comparing in this post. 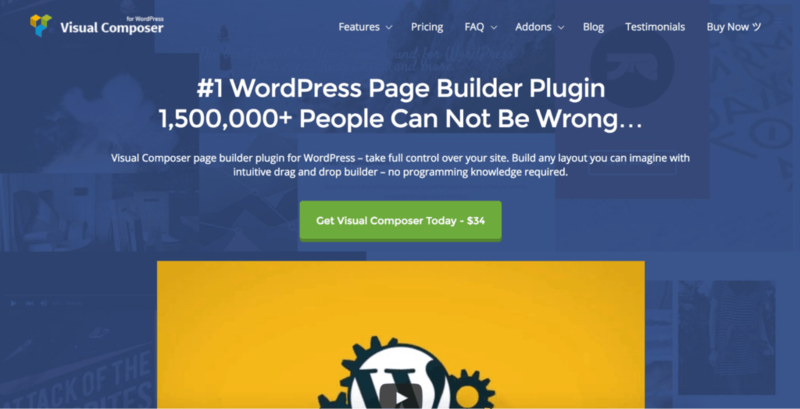 Despite the crowded page builder marketplace, it wasn’t very difficult to narrow this comparison review to 5 of the most popular visual page builders for WordPress. Thrive Architect (from Thrive Themes) is a front end visual page builder for online marketers. The tool works as part of the Thrive ecosystem but can also be used as a standalone plugin. Elementor is one of the newer front end visual page builders on the market and it continues to gain popularity by offering a robust free version of the tool that doesn’t feel limited. Beaver Builder is an established front end visual page builder that appears to be marketed towards professional web developers/designers and their clients. Divi Builder (from Elegant Themes) originally started as a back end builder, but has since transitioned into a fully-fledged front end visual builder with the release of Divi Builder 3.0. Visual Composer is one of the oldest and most well-established back end page builders on the market, and like Divi Builder, it now also offers front end compatibility. When you’re looking at page builders, features only give you a fraction of the full story. Sure, they all help you build fancy pages. But that’s the end result. The actual process is where the magic is. That’s what makes or breaks any page builder. Let’s get the obvious out the way. How “easy” something is to use determines its ease of use, or usability. It’s fairly subjective and it’s also not something you can measure, you just kinda… feel it. With page builders, this is most reflected in the layout of the tool and interface as a whole, particularly in terms of ‘intuitiveness’. Obviously you could attribute this one to any product, but considering the amount of the time you’re likely to spend inside a page builder, it’s importance is amplified. So let’s look at some real examples to illustrate my point. A good comparison to use for this is between Visual Composer and Elementor, two tools that operate very differently from one another. Looking at the initial interface of these page builders, you’ll notice that while Visual Composer requires a click to open up the elements library, Elementor actually has this in view by default. I think most would agree with me when I say, having a static sidebar as opposed to a full-screen popup is a lot easier to work with when building out your pages. Aside from all that, you also need to account for the “common-sense” aspect of a tool. Knowing how to use it without actually knowing how use it — if you know what I mean. You’d be surprised how backwards some page builders can be in certain areas, and I can illustrate this yet again with Visual Composer and Elementor. In Visual Composer, adding columns to my page quickly turned into a game of hide and seek. The options for this ended up being in one of the last places I looked. With Elementor, there were MULTIPLE ways of adding columns, as well as the inclusion of a column element in the library. Of course, it’s easy to forgive these “minor inefficiencies” if you haven’t been around the block with page building tools, or you eventually just get used to it. But, for all the reasons I’ve highlighted here, ‘ease of use’ should still be considered a huge factor when it comes to choosing the perfect page builder. I’m a big fan of Elementor’s user interface despite the fact I couldn’t quite find what I was looking for at times. It didn’t take long before I really “clicked” with it though. Beaver Builder was pretty straightforward right out of the box, though one thing I didn’t like was having to constantly click a button to bring the side panel back into view. I just couldn’t really get comfortable with Divi Builder. Everything from the smooth scrolling to the auto-adjusting floating window just threw me off. Visual Composer has admittedly come a long way with the inclusion of a front end editor, though I still found it clunky and confusing most of the time. Abstraction is dealing with ideas, rather than events. In the software world, it means hiding all but relevant data in order to reduce complexity and increase efficiency. A very esoteric explanation, right? Well, when I talk about a high-level of abstraction in regards to page builders, what I’m actually looking at is how the page looks and feels while editing. Think about it; the point of a visual page builder is to be able to make changes to your page while maintaining a realistic and accurate representation of that page on the front end. In the simplest terms, It’s about visualizing the true result of your actions in real-time. No saves. No refreshes. REAL-TIME. After all, If you still find yourself checking the preview after every other sentence, you may as well just go back to the basic WP editor. Of course, you could argue this ties in with ‘ease of use’, but it’s something I felt needed to be singled out because it’s just that big of a deal when it comes to this kind of product. Again, it behaves much like Elementor in this sense and there’s clearly a focus on reducing the number of steps it takes to perform an action. For me, the inline text editing gives it the edge. Elementor really excels here with a few minor hiccups. For example, I would have preferred to be able to directly edit text on the page (and not in the sidebar). With Beaver Builder, I often felt like I was having to do a lot of clicking and navigating to make something look the way I wanted. Just… meh. While it does provide a ton of options to make something just the way you want it, they did sometimes get in the way of simple actions that ended up being more drawn out than necessary. Visual Composer was by far the worst in this regard. Even something as simple as resizing an image the way I wanted was an absolute nightmare. Flexibility – in regards to page builders – is all about removing boundaries and lowering resistance. This is what governs your ability to recreate ANY page you see online, as well as bringing new ideas to fruition without running into endless technical challenges. This is obviously a critical component of any page builder, but it doesn’t come without sacrifice. Achieving a high level of flexibility is a bit of a balancing act with high abstraction. Generally, the more you focus on reducing complexity, the more flexibility you lose on the front end. For me, there’s nothing worse than spending hours trying to build something a particular way, only to find that failure was inevitable. In fact, I recorded a series of experiments to compare and highlight the importance of flexibility when it comes to page builders. Recreate Trello.com’s homepage as quickly and as accurately as possible using each page builder’s standard toolset. The results were surprising to say the least, but rather than spoil the fun, here’s a direct link to each of these tests so you can see for yourself how it turned out. There were very few ideas I couldn’t replicate with Elementor. Aside from a couple (very) minor restrictions, it was overall very well rounded in it’s capabilities. On the surface it seems to have everything covered, but I frequently found myself limited on styling options in regards to certain elements. Divi Builder was able to replicate most of what I threw at it, even if it did take some time to figure out how to do it, exactly. Even if a page builder does everything else to perfection, it’ll always come up short if the overall speed isn’t up to scratch. With this kind of tool, you’re likely making dozens of small changes a minute and those small delays between actions quickly add up if they’re not optimized. That’s everything from loading the builder environment, dragging elements onto the page, and making changes to both individual elements and the layout as a whole. You’d be surprised how much this varies from tool-to-tool. Architect was easily one of the fastest builders I tested, and no matter how hard I tried, I just couldn’t slow this thing down. Despite the builder itself taking a while to load on occasion, the overall speed of the tool was actually quite impressive. This is one the biggest issues for me when it comes to Beaver Builder. Almost every action is followed by a 1-3 second delay that quickly starts to irritate. Divi Builder performed really well here and the only time I had to (briefly) wait was when loading up a page/content template. Visual Composer was just as bad, if not worse than Beaver Builder in terms of overall speed. Painfully slow. With everyone and their mother starting a software company, it makes sense to question the longevity of such a company nowadays. After all, I can easily hire someone to write some code, slap on a price tag and call it day. But how long do you think it’ll be before people start knocking down my door? This is a constantly evolving industry. Updates are almost a daily occurrence and WordPress plugins are no exception. The simple fact is, they need to keep up the pace, or they die. History – How long have they been in business? How many businesses do they own? What does their track record look like? Credibility – Does the website look professional/credible? Do they make realistic claims about their product? What problem are they really trying to solve? Growth Potential – How many users do they currently have? Is the number of users growing or declining? Are people recommending the product? Does the market have a strong future? Reviews – What do users have to say about the product? How has the company responded to negative reviews? The more positive your answers are to these questions, the more likely it is they’re in it for the long-haul. Any pages or posts built with a page builder are almost always tied to that particular builder, which means you need to keep the software updated and working in order to maintain your site. If the people behind that page builder decide to close up shop, it’s just a matter of time before the issues begin piling up with every new WordPress themes, plugin and WordPress update. Unfortunately, it’s rarely as simple as just uninstalling and replacing it with a new page pager. Divi is a great example of that. Yup. Every page you’ve ever built with this page builder becomes a cocktail of shortcodes. So remember, a page builder isn’t just Christmas, it’s for life. Thrive Themes was one of the first companies to release a live, front-end WordPress editor and their popularity continues to pick up pace. Elementor is the newest plugin in this review and although it has already grown an impressive and loyal user-base, it’s still too early to place any bets. Beaver Builder has been around a few years, gained some popularity in the developer community and doesn’t appear to be going away anytime soon. Divi Builder is now on it’s third iteration, and considering it’s backed by Elegant Themes, I have no doubt we’ll see a lot more future development there. Looking at how long this company has been around, and how many users it has, it’s hard to imagine Visual Composer making a disappearance. 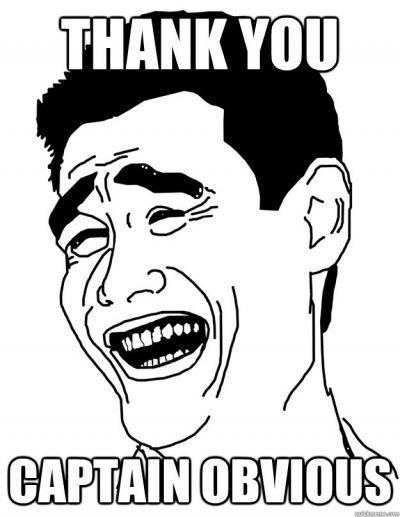 Great support has become a standard for pretty much any service or product we buy into nowadays. Naturally, some mediums are better for speed (e.g. live chat), and others arguably yield a better overall response (e.g. ticketing systems). What you want, ideally, is the best of both worlds. Thrive Themes aren’t known for having the best support, but have promised to focus their efforts on changing that with the release of Architect. Elementor offers detailed documentation, and videos. While they don’t provide live chat support, there is a very active, unofficial Facebook community. Beaver Builder has the usual knowledge base and ticket support options. Again, no live chat but I was impressed with the speedy email response from the BB team. Visual Composer offers ticket-based support, boasting a 1.46 hours average response time. Unfortunately, the pre-sales support is virtually non-existent. So now we’ve covered the crucial features to look for when buying a WordPress page builder, we can start to see how certain tools begin to stack up. The table below compares some of the most popular page builder tools on the market today. You can interpret that comparison table however you like, but there’s one thing we didn’t include which is still important. For some, keeping costs down is a priority, and choosing a tool that ticks enough boxes without being super-pricey is just the preferred option. For others, having access to the best possible tools for getting the job done is the only thing that matters, regardless of price. So we thought it’d be a good idea to give you our personal recommendations, based on which of those categories you fall into to. 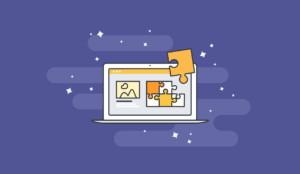 Whether you’re a penny-pincher or just on a tight budget, you can still benefit from using a page builder without breaking the bank. In this case, there’s one visual page builder that sticks out like a sore thumb when it comes to “best value”. 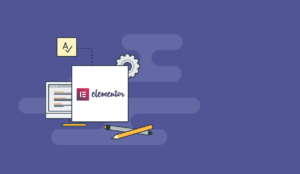 Considering how Visual Composer performed in our comparison, the obvious winner here is Elementor. And, unlike other “free” page builders, Elementor still feels like a complete product without ever having to upgrade. While Elementor is a very good page builder, it definitely lacks in the marketing department. After all, that’s why we build websites in the first place — to make money, right? Before Thrive Architect was released, I would have had to give this to Elementor as well, but given how well Architect performed in my testing, and the fact that it’s very marketing-oriented, it is, for me, the best premium visual page builder. Now that you have a grasp of what to look for in a page builder, it’s time to look at some of your options in a bit more detail. The following tools have been thoroughly reviewed in their own, individual posts, but I’ve included a short and sweet version to give you an idea of how it fared. Update: we will continue to update this page as and when we publish more page builder reviews. Thrive Architect is a reboot of the original ‘Thrive Content Builder’, which quickly became the standard WordPress page builder plugin for marketers on it’s release back in 2014. Of course, Thrive Content Builder didn’t come without it’s drawbacks, and this vastly improved iteration is a chance for the ambivalent plugin to make a comeback, and ultimately win back the hearts (and wallets) of countless online marketers. Elementor is the new kid on the block, but don’t let that fool you. 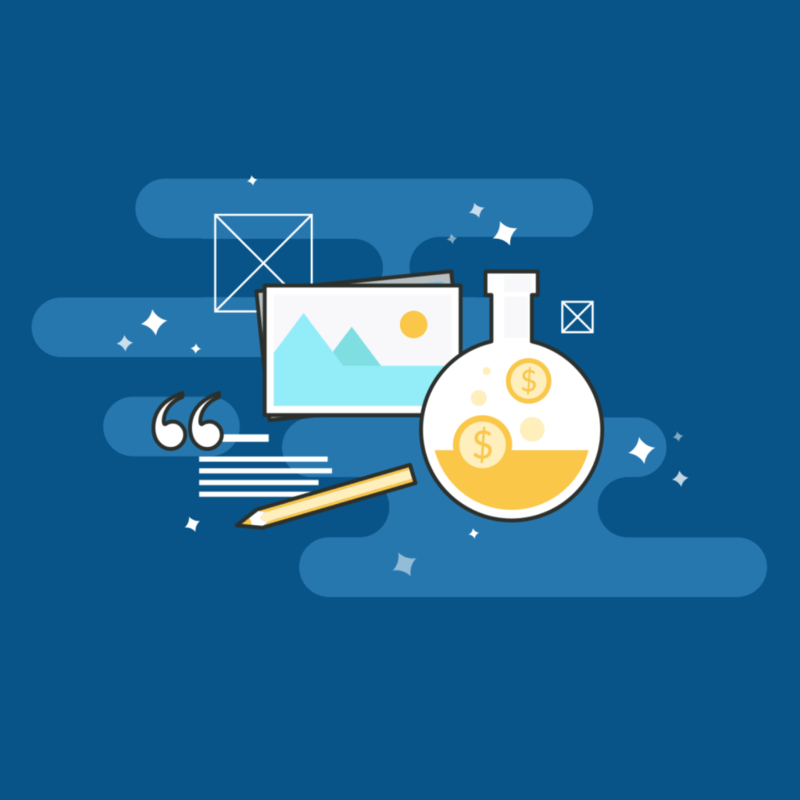 Despite heavy competition, it has quickly become one of the most popular visual page builders for WordPress, and it continues to grow at rapid pace. Since it’s release in mid-2016, Elementor has gained over 80,000 installs and an impressive 5 star rating on WordPress.org. Beaver Builder is a widely-used front-end visual page builder for WordPress, also offering a dedicated WordPress theme and theme builder (as of very recently) to work alongside it. Unlike it’s competitors, Beaver Builder seems to have a strong foothold in the developer community, promising site builders and their clients a platform to create and design websites without the usual headaches. Divi Builder – from Elegant Themes – is a backend and front end visual page builder geared towards web designers. With the recent release of Divi Builder 3.0, and an enhanced front end experience that is said to be a complete “reinvention” of previous iterations, there’s a lot of hype surrounding this little plugin. Visual Composer is started it’s life as a backend builder and was one of the first – if not the first – on the scene. Despite it’s age, it’s still one of the most widely-used page builders with over 1.5 million users, no doubt helped by the fact that it comes included with a number popular WordPress themes.